Pat Troy has extensive experience in organizational start-up and revitalization, with specialized expertise in strategic planning and electronic service delivery. She holds B.S., M.Ed. and CASE degrees in education and is a graduate of the Graduate Institute of Organization Management. Troy is a leader in innovative organizational management and has authored the book, Flex: The Virtual Office Advantage in which she outlines 12 principles for a successful transition from a conventional office to a virtual office. Today, the Next Wave Group team includes more than 25 employees and contractors. While most are in Maryland, some are located in other parts of the US. All work virtually using “cloud” applications. With a background in communication and public relations, and through her work with mental health, hospice, and for the American Cancer Society, Ms. Richards has grown into one of our nation’s most recognized oncology industry advocates. 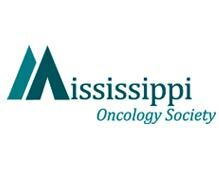 In 2008, Ms. Richards formed MJ Executive Management Inc. where she served as Executive Director for six state oncology societies: Alabama Cancer Congress, Louisiana Oncology Society, Oklahoma Society of Clinical Oncology, Society of Utah Medical Oncologists, Mississippi Oncology Society, and the Idaho Society of Clinical Oncology. She also assisted the Binaytara Foundation with its national conferences, as well as in Kathmandu, Nepal and was Chief Administrative Officer of Cure-One (Molecular Evidence Development Consortium), a national nonprofit during its startup and launch. 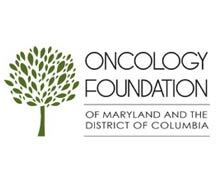 Ms. Richards maintains relationships with many national organizations, including the American Society of Clinical Oncology, American Society of Hematology, Community Oncology Alliance, National Oncology Society Network, National Comprehensive Cancer Network and National Community Oncology Dispensing Association. In 2017 Ms. Richards combined her experience with Next Wave Group, LLC to help create what she believes is the ideal way to provide management for oncology societies and organizations, forming the new HOSS (Hem/Onc Society Services) Division. HOSS provides both full service management and a menu of support and special services. After 18 years of coordinating large and small conferences (up to 20 per year), Ms. Richards knows what it takes to find and book strong, consistent speakers audiences want to hear from year after year. In addition to her consulting, Ms. Richards also is the Talent Manager for experienced speakers Dr. Chuck Jackson, Richard Sanders Esq. and John Ross, Jr, PhD and Life/Career Coach Linda Liebold Schaible, M.Ed. After three years as Executive Director for the Michigan Society of Hematology and Oncology (MSHO), Carol Teal Christner joined the Next Wave Group’s Hem/Onc Society Services team, where she is responsible for oversight of HOSS’ corporate membership coordination, serves as Executive Director of the Society of Utah Medical Oncologists, and Executive Director for the Illinois Medical Oncology Society. While at MSHO, Christner was responsible for governance and operations of the societies’ membership which included 390 physicians from private practice, community hospitals, and academic medical centers. She lead the organization to provide educational, reimbursement, legislative advocacy and networking services to physician members as well as their NPs, PAs, oncology nurses, practice managers and billing staff members. Targeting the unique needs of practices and clinics and employing a variety of communication vehicles kept the Society relevant and valuable to its members and sponsors. Carol served as the organizations liaison between members and sponsors in order to create a climate of inclusiveness that best met the needs of cancer patients in Michigan. Prior to joining MSHO in October of 2014, Carol served for eight years as the Director of Government Relations for the Barbara Ann Karmanos Cancer Institute (KCI) in Detroit, MI. Her responsibilities included the oversight of all state and federal legislative initiatives. During her tenure at KCI, she developed relationships with Members of Congress, State Legislators, and government agency officials. She also administered the Institute’s appropriations strategy, resulting in over $12,000,000 of Congressionally Directed Funding for cancer research. Before joining KCI, Carol served as the Chief Operating Officer for the American Lung Association of Michigan. 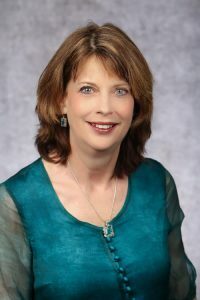 Carol earned her Master’s of Science in Administration degree from Central Michigan University and her Bachelor’s of Business Administration degree from Walsh College of Accountancy and Business Administration. She was recently accredited as a Certified Association Executive with the American Society of Association Executives. Carol lives in Asheville, NC. She is the proud parent of Nick, who lives in New York City, and Vicki, who lives in Washington D.C.
Angela Abraham Ladner is a native of Vicksburg, MS. She graduated from the University of Mississippi with a Bachelors Degree in English/Journalism and a Master of Arts Degree in Journalism with a Political Science minor. She became the Executive Director of The Mississippi Psychiatric Association and has served in a dual role as their Executive Director and lobbyist for the last 18 years, while handling the day to day operations of the association. Prior to joining the MPA, Angela served as the Public Information Officer for the Mississippi State Senate and Press Secretary for the Lieutenant Governor from 1992-1996, which included speech writing, media relations, public relations and marketing. She then joined the American Cancer Society/Mid-South Division as Income Development Director for Metro Jackson and Vicksburg, tasked with raising money. Angela was the first ACS Advocacy Director for the State of Mississippi from 1997-1999, which included lobbying at the state and federal level for policy change, coordinating volunteers and conducting fundraising special events. Ladner was named by the Mississippi Business Journal as one of the Top 50 Leading Business Women in Mississippi in 2012. She was the only non-physician member to serve on the American Medical Association Council on Legislation from 2006-2007, the group that determines the policy and legislative agenda for the AMA. Angela served as President of the Central Medical Society Alliance in 2001, served as Mississippi State Medical Association Alliance President, 2005-2006 and was the 2006-2007-Chairman of the American Medical Association Alliance Legislative Committee. The Mississippi State Medical Association Alliance chose Angela as their, Most Outstanding Alliance Member of the Year, 2009-2010. Ladner is a graduate of Leadership Madison County, served as the Centennial Chairman for the City of Ridgeland and has performed countless volunteer services and fundraising for numerous non-profit organizations. She received the 1999 Most Outstanding Community Service Award from the Jackson Area Alumnae Panhellenic Association and the President’s Award in 2000 from the Madison County Chamber of Commerce. 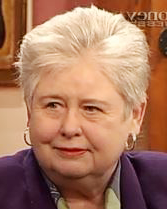 In October 2006, she was presented the “Lighthouse Award” from the Mississippi Coalition Against Domestic Violence, their highest distinction. She is a sustaining member of the Junior League of Jackson and the Cancer League. Angela and husband Mark, a Psychiatrist (Associate Professor and Director of Behavioral Outpatient Services at the University of Mississippi Medical Center) along with their 15 year-old triplet daughters reside in Jackson, MS.
Caroline earned a B.A. in Political Science from James Madison University and an M.A. in Political Communication from The Johns Hopkins University. Caroline is also a Candidate for a Ph.D. in Public Policy & Administration at Boise State University. Caroline is also the Managing Director of True North Public Affairs, a full-scale association management firm specializing in member relations, communications, conferences and events, administrative and financial management, government affairs, and lobbying for clients operating throughout the state of Idaho. Formerly, Caroline served as the Public Relations Director for the Boise Metro Chamber of Commerce. In that role, she oversaw media relations and communications, Chamber programs, and played a major role in the Chamber’s many events and conferences. As the Chamber’s lobbyist, Caroline advocated on behalf of members on critical public policy issues at the local, state, and federal levels. Previously, Caroline served as a Special Assistant for External & Intergovernmental Affairs for Secretary Dirk Kempthorne at the U.S. Department of the Interior and as the Communications & Public Affairs Manager for an international trade association in Washington D.C. Caroline also served as a White House intern under President George W. Bush. Roberta Sorensen, BA, MA, is Director of the Alabama Cancer Congress and directs CME administration for HOSS. She worked in Washington, DC for most of her career, including five years as an aide on Capitol Hill’s Labor and Human Resources (now HELP) Committee, registered lobbyist and manager of policy for the College of American Pathologists. As executive director for a number of health-related organizations, including the Medical Societies of Fairfax, Virginia and Westchester, NY., and the Washington Center for Psychoanalysis, she was responsible for governance, financial, and policy operations. With the Northern Virginia Society she served as ED of the MSNVA Foundation, and as President of its for-profit subsidiary, MEDSERV. She earned a BA in Education from the University of Maryland, an MA from the Department of Political Science (Special Studies: Legislation) from George Washington University, and finally a certified association management credential from the American Society of Association Executives. Roberta served as the Virginia representative to the successful national class action lawsuits against managed care companies in the early 2000’s, and subsequently as a Member of the Board Advisory Committee of the Physicians Foundation for Health Systems Excellence & the Physicians Foundation for Health Systems Innovation, established with funds gained in the settlements. Roberta has served on a number of boards, including those of Women in Government Relations (Chair of Health Task Force) , and the Northern Virginia Area Health Education Center, where she served as President. She served on the AMA Study of the Federation, a member of the American Association of Medical Society Executives, and a member of the CAE Examination Development Committee (ASAE). The mother of two daughters, Mary, a teacher in SC, and Teresa, a journalist in London, UK, “Bobbi” resides in her new hometown of Columbia, SC. She is an oil painter and serves on the executive board of the Crooked Creek Art League. © 2017-2019 Next Wave Group, LLC, All rights reserved.